Sam Walton established the chain of Wal-Mart Stores back in 1962. As Wal-Mart developed in the 1960s to 1980s, the company starts taking the advantage of the better transportation facilities and other resources. They have several strengths in their supply chain, which includes RFIDS deployment, in-house transit engagement, digital technology to manage sales inventory, and share sales information with suppliers. Their supply chain focused on several functions, which includes purchasing of the products from the suppliers, reducing the distribution cost, choosing the best transit mode and formulating retail business strategy so that the product can be sold at the bulk level. These retail strategies include all the activities from logistic level to store level with addition to reduction in the operational cost. This strategic and intellectual supply chain of Wal-Mart helps the company in getting significant share within the US stock market (Neumark, Zhang and Ciccarella, 2008). In the supply chain of Wal-Mart, the vendor (suppliers) administered the level of stocks and availability for the customer. This starts the distribution with the help of VMI, which stands for Vendor Managed Inventory. It is a management and planning system where the vendor is responsible for sustaining the customer inventory levels (Darwish, and Odah, 2010). This is the first step of the company towards the supply chain collaboration, which also increased speed and service. In their distribution channel, the company plans strategy regarding reshaping the cost structure so that to advanced their supply chain management by enhancing competitive advantage. Walmart innovation already started back in 1980s, where the company starts working directly with the manufacturers to cut the cost at various places and managing the supply chain in an efficient manner. They also plan for the strategic sourcing where they started to prioritize the suppliers which are in a position to match the customer demand in a timely manner. They started makes a strategic partnership with the various vendors who have the potential for long terms work and relationship in exchange of lowest possible prices (Ketchen and Hult, 2007). This makes the smoother flow of the network and it also seems to be behaving like a single firm consisting of suppliers, warehouses and retail stores. For further improvement, they started using RFID technology in their distribution channel where the product scanning is based on the numerical codes. They also encourage their suppliers to use this technology in replacement of the bar code scanning. This not only help the company in saving operational cost but the cost relation to the labour aspect also goes down with the rise in productivity as employees efforts are used at other places of the operations. The other aspect of their supply chain includes their strong and efficient logistics infrastructure system. More than 5,600 trucks and 6,900 drivers in 48 states serve Wal-Mart distribution centres. In addition to this, their private fleet also provides the delivery with efficient transportation services to the stores. In the current phase, the Wal-Mart private fleet transportation operates in 28 states with around 36 transportation offices (Holmes, 2011). In addition to this, Walmart inventory management is also one of the biggest contributors to the success and growth of the company. The company is known for its cutting-edge applications in the technological environment, which also help them in optimizing the performance of the inventory management. Walmart manage their inventory effectively by implementing vendor-managed inventory model which allows suppliers to access data from the information system of Walmart such as level of inventories, the rate of goods sold to the consumer etc. (Olson and Xie, 2009). which helps the suppliers to gather the information and decide when to release the stock level to send additional goods to Wal-Mart. In a supply chain, both primary and secondary distributions are included, which add value in the form of customer satisfaction. Primary distribution is for adding a value for the merchandise by an inbound flow into warehouse manufacturing plant or a distribution centre. In both hierarchies of the supply chain, the retailer presence has been increased. This enables them to use their own logistics assests, which are generally involved in suppliers’ tasks. In addition, they have to carry out the activities of logistics at the doors of manufacturers, which has led to the Factory Gate Pricing (FGP). This means that the transportation costs are not counted by the provider in the price of the commodity (Morgan and Dewhurst, 2008). For upstream operations, the evaluation is based on the cost and productivity performance whereas for downstream operations, the measurement of flexibility and delivery need to be steer based on the speed, design and flexibility (Fung, Chen and Yip, 2007). The organization pays more focus in the upstream activities in the supply chain as these activities have a direct impact over the downstream activities. The upstream suppliers in Walmart are also involved with the purchasing managers who are responsible for selecting right suppliers and check whether performance is meet with set standards or not. In addition to this, material managers are also responsible for planning, forecasting and scheduling the flows of material between the suppliers in the chain. All these managers are responsible for the driving improvement in the supply chain. Wal-Mart also implemented the technological advancements into their supply chain so that the performance and efficiency can be increased with the decrease in the various costs. They have replaced barcode scanning technology with the RFID scanning (Zhu, Mukhopadhyay and Kurata, 2012). This helps them in improving the various operations related to procurement and inbound logistics in the supply chain of the organization. Wal-Mart plans their downstream activities in a very effective manner to than one can be benefitted and get the best value at the retail level. In addition, Wal-Mart also focuses mainly on the demand planning and forecasting with the help of its every retailer, wholesaler and demand markets (Wang, Liu and Wang, 2008). Outbound logistics are also a key activity in the supply chain to add value to the customer by fulfilling their needs on time. Another important aspect of downstream supply chain includes the inventory management, which is based on efficiency of all the partners in the downstream supply chain, i.e. distributor, wholesales and retailer. As a leading organization in the world, Wal-Mart ensures that their distributors have maintained adequate levels of inventory so that to full-fill the needs of the demand market on time. They also focus on other channel member’s activities in the downstream supply chain, which includes logistics, transportation, marketing communication and sales. This all controlled and managed through their internal information system connected by several intranets and extranets. With the help of this, the organization successfully integrates the vertical and horizontal activities of the supply chain. Cloud computing is the use of various services including software, servers and storage on the integrated network of internet, often referred to as “cloud” (Armbrust et al, 2010). In networking term, cloud computing uses resources as a utility rather than building computing infrastructure. It is a form of large scale computing, where the services are provided to the customers on the demand and over the high-speed internet. On a global scale, various business including service organizations realized the potential of cloud-based solution which can help them in to their supply chain strategies so that to increase the proficiency and printability. Integrating cloud computing with supply chain also gives an organization a competitive advantage in the industry which is necessary for the growth of the business. Considering Wal-Mart, the downstream element of their supply chain can be integrated with the various cloud-based solutions. This helps them in increasing the productivity and making smooth flow of the product and information with the streamline communication. There are various advantages for Wal-Mart of using cloud computing as a technology in their downstream supply chain. The agility of the data compilation and sharing is an important aspect in the supply chain (Swafford, Ghosh and Murthy, 2008). In case of Wal-Mart, the company requires a supplier audit that was completed in Canada and the results are needed in Australia about a demand of certain product. Therefore, within an hour, the decision needs to be made in the alignment of supplier’s collaboration. With the help of cloud computing, the management of Wal-Mart can easily compile the data and share this with HQ in the blink of an eye. 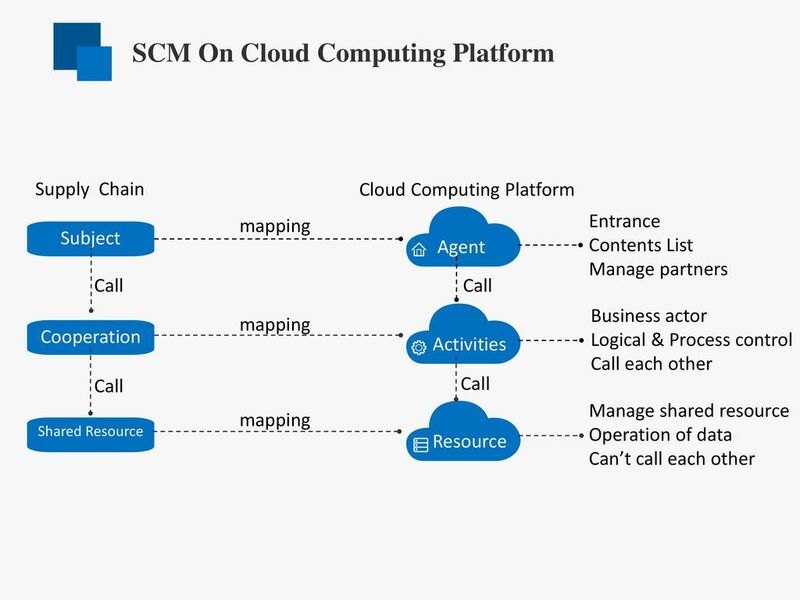 In the integrated computing, Wal-Mart can easily source the data from one cloud to other, which gives their distributors a wide range of capabilities. In addition, Wal-Mart can manage real time inventory that ensures that any of their distributors never losing tracks on their inventory levels. In Wal-Mart, all their integrated individuals i.e. vendors, retailers and suppliers can operate in a shared cloud where accessibility is more scalable. For a multinational company like Wal-Mart, the parallel lines of communication and collaboration in a real-time are necessary for their survival (Gunasekaran, Lai and Cheng, 2008). This technology will give Wal-Mart a transparency solution in their supply chain that leads to competitive advantage in the retail industry. It will also help the company to movie digitally and serve their customers on a priority basis. Wal-Mart is a leading organization, which has many areas to grow and increase their market share. Wal-Mart should immune itself against the economic mishaps, manage risk factors appropriately, use updated and advanced technology, rationalize or cut their cost relating to supply chain and production and thus promote their market and brand into international developing market. In addition, there are various effective measures, which can ensure long-term sustainability of the firm and promotes efficiency in the upstream and downstream of the supply chain. 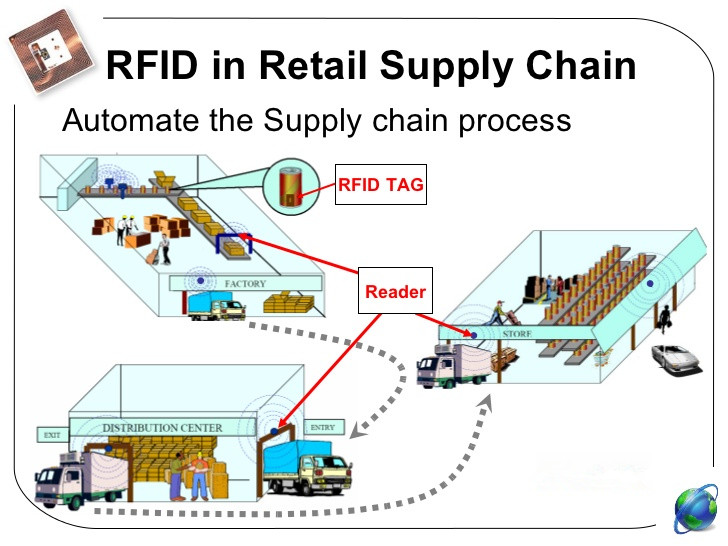 In the upstream element of their supply chain, implementing the applications of Radio Frequency Identification (RFID) can bring the effectiveness and efficiencies that help in solving the supply chain problems like inventory management (Domdouzis, Kumar and Anumba, 2007). This technology can help Wal-Mart to capture the accurate information on the location and status of physical objects across the supply chain. The pace of implementation in Wal-Mart has been slower than the giant retailer had predicted due to insufficient infrastructure of supply chain for RFID and the cost of implementing the technology. In Wal-Mart, the management needs to develop such integrated model of supply and demand chain so that implementing RFID technology into the value chain can drive revenues and innovation, which can help the company to gain competitive advantage. Wal-Mart should not only use RFID in simply replacement of the barcodes, rather than they can use them by equipping cargoes with the tags showing the content so that the customs clearance can be done in an automatic way. This will help Wal-Mart in creating a borderless supply chain. In addition, Wal-Mart can also use this technology in their upstream supply chain by using RFID tags to electronically seal container and monitor the movements of the container so that to track any tampering (Shi, Tao and Voß, 2011). They can also share the information with the suppliers and developing alliances and thus achieve strategic objective of lowering the cost at various places. Therefore, this technology enables Wal-Mart to significantly change their business processes, supply chain management, and harness the true business value of the technology by driving innovation and profits. The other technology is the cloud computing which can be used to create more efficiencies in the downstream element of the supply chain. The main benefits to the Wal-Mart in implementing cloud computing in their downstream element of the supply chain will lead to cost efficiency, flexibility, simplifications and sustainability. Considering Wal-Mart, from demand forecasting to warehouse or transportation management, there are a variety of applications which can help the supply chain to link with the single-cloud based platform. This can help the supply chain partners to have access to such platforms on their own environment or company regardless of their location and this can all be possible through a common device. This process can enable Wal-Mart to be more agile and lead them to quickly enter new markets with the news products and services. In addition, the Cloud-based system can help management in providing real-time visibility of inventory and shipments and thus enhance logistics tracking (Marston et al, 2011). In Wal-Mart, implementation of these systems can be treated as a virtual warehouse for their products in their pipeline and offer the company to make strategic order full-fulfillment decisions. In managing the supply chain, the field of cloud computing can seem as relatively new but it is rapidly increasing over time and thus implementing them in a timely manner can give the company a competitive advantage. 1. Armbrust, M., Fox, A., Griffith, R., Joseph, A.D., Katz, R., Konwinski, A., Lee, G., Patterson, D., Rabkin, A., Stoica, I. and Zaharia, M. (2010) A view of cloud computing. Communications of the ACM, 53(4), pp.50-58. 2. Attaran, M. (2007) RFID: an enabler of supply chain operations. Supply Chain Management: An International Journal, 12(4), pp.249-257. 3. Bottani, E. and Rizzi, A. (2008) Economical assessment of the impact of RFID technology and EPC system on the fast-moving consumer goods supply chain. International journal of production economics, 112(2), pp.548-569. 4. Carter, C.R. and Liane Easton, P. (2011) Sustainable supply chain management: evolution and future directions. International journal of physical distribution & logistics management, 41(1), pp.46-62. 5. Craighead, C.W., Blackhurst, J., Rungtusanatham, M.J. and Handfield, R.B. (2007) The severity of supply chain disruptions: design characteristics and mitigation capabilities. Decision Sciences, 38(1), pp.131-156. 6. Dai, H. and Tseng, M.M. (2012) The impacts of RFID implementation on reducing inventory inaccuracy in a multi-stage supply chain. International Journal of Production Economics, 139(2), pp.634-641. 7. Darwish, M.A. and Odah, O.M. (2010) Vendor managed inventory model for single-vendor multi-retailer supply chains. European Journal of Operational Research, 204(3), pp.473-484. 8. Domdouzis, K., Kumar, B. and Anumba, C. (2007) Radio-Frequency Identification (RFID) applications: A brief introduction. Advanced Engineering Informatics, 21(4), pp.350-355. 9. Fung, P.K., Chen, I.S. and Yip, L.S. (2007) Relationships and performance of trade intermediaries: an exploratory study. European Journal of Marketing, 41(1/2), pp.159-180. 10. Gunasekaran, A., Lai, K.H. and Cheng, T.E. 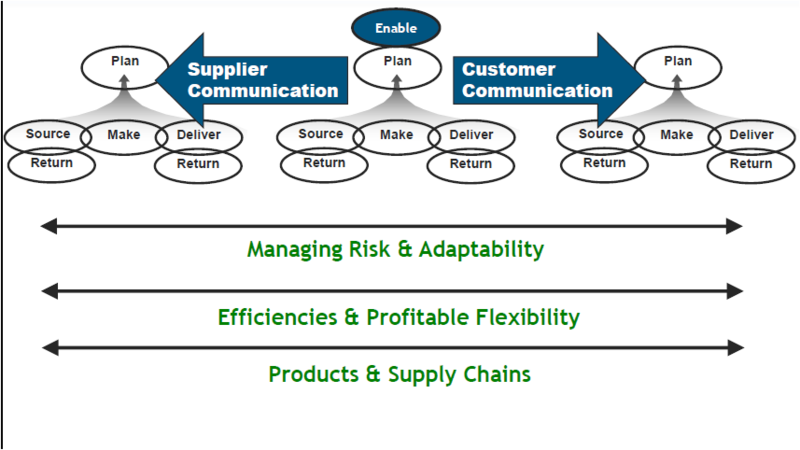 (2008) Responsive supply chain: a competitive strategy in a networked economy. Omega, 36(4), pp.549-564. 11. Hollenbeck, C.R. and Zinkhan, G.M. (2010) Anti?brand communities, negotiation of brand meaning, and the learning process: The case of Wal?Mart. Consumption, Markets and Culture, 13(3), pp.325-345. 12. Holmes, T.J. (2011) The diffusion of Wal?Mart and economies of density. Econometrica, 79(1), pp.253-302. 14. Kampf, C. (2007) Corporate social responsibility: WalMart, Maersk and the cultural bounds of representation in corporate web sites. Corporate Communications: An International Journal, 12(1), pp.41-57. 15. Ketchen Jr, D.J. and Hult, G.T.M. (2007) Bridging organization theory and supply chain management: The case of best value supply chains. Journal of operations management, 25(2), pp.573-580. 16. Marston, S., Li, Z., Bandyopadhyay, S., Zhang, J. and Ghalsasi, A. (2011) Cloud computing—The business perspective. Decision support systems, 51(1), pp.176-189. 17. Morgan, C. and Dewhurst, A. (2008) Multiple retailer supplier performance: An exploratory investigation into using SPC techniques. International Journal of Production Economics, 111(1), pp.13-26. 18. Neumark, D., Zhang, J. and Ciccarella, S. (2008) The effects of Wal-Mart on local labor markets. Journal of Urban Economics, 63(2), pp.405-430. 19. Olson, D.L. and Xie, M. (2009) A comparison of coordinated supply chain inventory management systems. International Journal of Services and Operations Management, 6(1), pp.73-88. 20. Shi, X., Tao, D. and Voß, S. (2011) RFID technology and its application to port-based container logistics. Journal of Organizational Cloud Computing and Electronic Commerce, 21(4), pp.332-347. 21. Srivastava, S.K. (2007) Green supply?chain management: a state?of?the?art literature review. International journal of management reviews, 9(1), pp.53-80. 22. 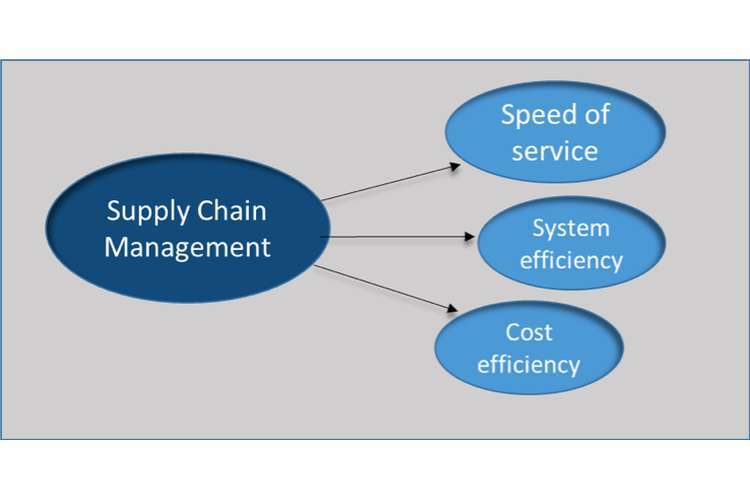 Swafford, P.M., Ghosh, S. and Murthy, N. (2008) Achieving supply chain agility through IT integration and flexibility. International Journal of Production Economics, 116(2), pp.288-297. 23. Wang, S.J., Liu, S.F. and Wang, W.L. (2008) The simulated impact of RFID-enabled supply chain on pull-based inventory replenishment in TFT-LCD industry. International Journal of Production Economics, 112(2), pp.570-586.